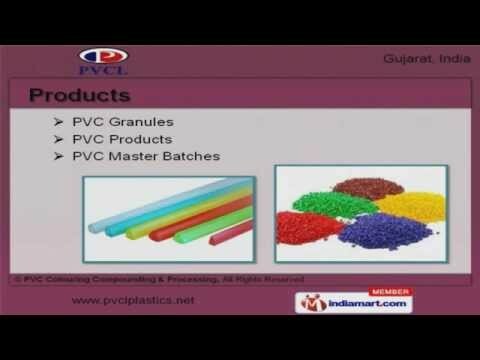 Welcome to PVCL, Manufacturer and Supplier of PVC Compounds. The company was established in 1992 at Ahmedabad. Advanced manufacturing facilities and Friendly relationships with valued clients help us to cater Indian Sub continent. Free sampling policy, High grade raw materials and Easy modes of payment are the strengths of our organization. We offer a vast range of PVC Granules, Products and Master Batches. Our PVC Compound for Pipe Fittings, PVC Footwear and Medical Grade PVC Compounds are widely acclaimed in the market. PVC Compound for Automotive and Moulding Applications are setting a benchmark in the market. We also provide PVC Compound for Films, Sheets, Plastic Bottles and Jars that are cost effective. Our PVC Compound for Hoses, Tubing and Medical Applications are acknowledged for their functionality. We are a leading firm engaged in offering PVC Compounds for Doors, Windows Profiles, Building and Constructions.